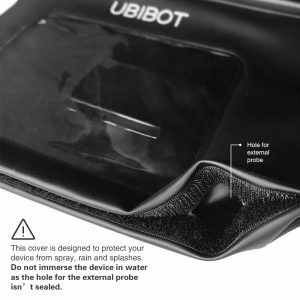 The UbiBot team recently launched a new product–Protective Cover, for the device used in rainy dusty conditions. 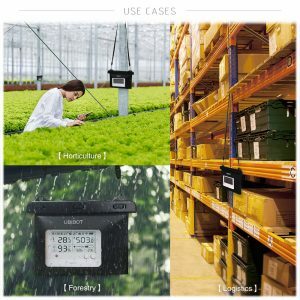 For customers who use the WS1 device in horticulture, forestry or logistics, they would care about that the device might be destroyed in the rain or spray, because the device is not waterproof. This question also matters to the UbiBot team. Therefore, they recently launched this kind of cover to protect the device from rain, spray, and dust. Made of PC and ABS, the cover is actually designed in a shape of a bag. It looks similar the waterproof case for our phone. The waterproof strip is the key factor to prevent the water from leaking to the bag. The three clips ensure the cover is seamlessly closed. Put your device in, then you will have peace of mind forever. We always put the measurement accuracy on the first. So any factors that would affect the accuracy will be considered. So we leave a hole at the bottom right corner of the cover. 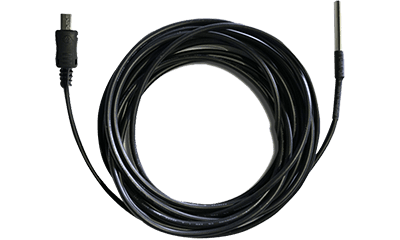 It’s for the external probe to stretch out. 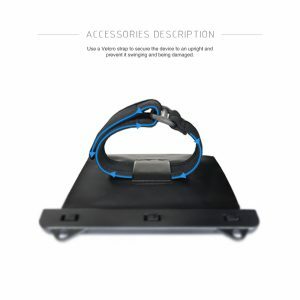 There is velcro at the bottom, open it up to connect your device through the hole. Just remember, never immerse the cover into water. The hole is not sealed. 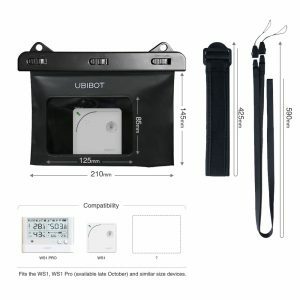 We attach a hanging strap and a velcro strap with the cover for you to hang or secure the cover. Therefore, it will not swing in the air or being damaged. 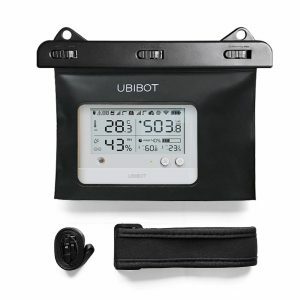 Make it easy for you to sense the world is always the pursuit of UbiBot. Now we want this process to be much easier and more secure.